You may have already heard about Vedani Botanicals Organic Skincare, their elegant packaging has been gracing many a blog and instagram page. The current range includes cleansers and moisturisers for different skin types. Sadie, the founder of the brand, is planning to add to the line with products free from essential oils. These would be suitable for all but particularly ideal for those with allergies, who are pregnant or those on chemotherapy/radiotherapy. The new products are not quite ready yet but I have been treated to a bespoke fragrance free cleanser and moisturiser. Whilst my experience of Vedani is unique, I can quickly tell why everyone is talking about this brand. My personal blends include beautiful ingredients and my skin has been lapping them up. You all know I adore oil cleansers and moisturisers especially now winter is finally here. My skin is under huge pressure and being prone to eczema means I lack the ability to produce oils and retain water in the same way as people with “healthy” skin. I am also totally in love with the quality of the bamboo muslin cloth (to be used with the cleanser). I have a huge collection of cloths from various brands and these outshine them all. The are super soft, wash well and a good size. I know I am gushing over Vedani but I honestly mean every word. There is always controversy that PR samples sway reviews but I’ll eat my hat if you buy these products and don’t agree with me. I am still searching for a criticism in order to offer a balanced review but seriously the only thing I can come up with is to warn allergic readers that products currently listed on the website contain sesame oil and/or hazelnut oil. 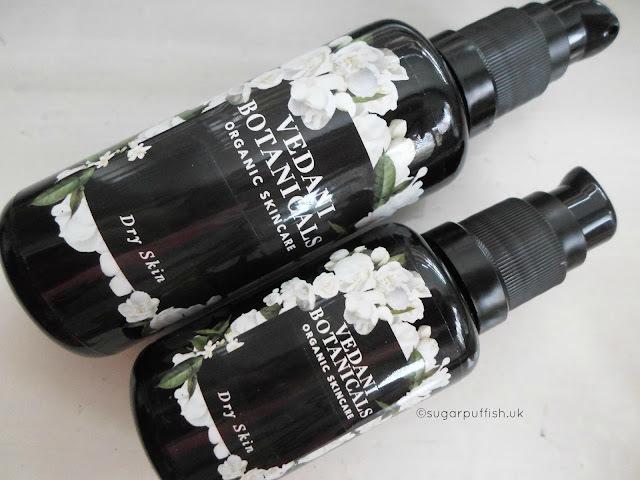 Have you tried any Vedani Botanicals Organic Skincare? What are your thoughts on this range of products? I actually haven't heard of Vedani Botanicals before so thanks for the introduction! I had a look at their website and it's great to see they are planning on stocking men's moisturisers, not that much choice for men at the moment..